Canada hoverboard laws. Do they have any? What are they? 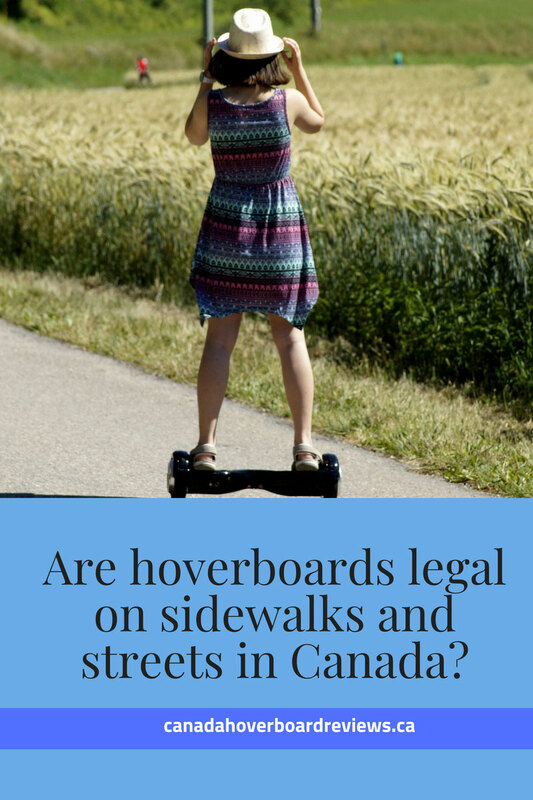 Is It legal to ride a hoverboard on the street or sidewalks in Canada? 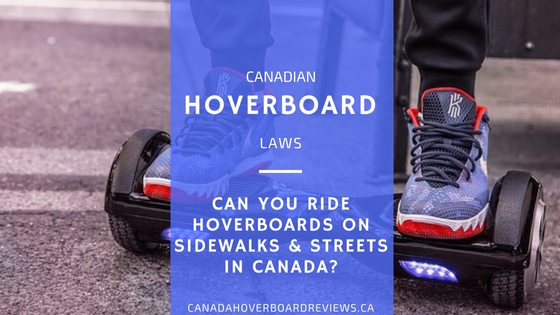 One of the questions we get asked here a lot is whether it’s legally permitted to ride a hoverboard on the street or sidewalk in Canada. Hoverboards are banned in some countries and restricted on airplanes, trains, and buses. So, it is natural that people will ask are hoverboards legal in Canada. Plus, like you, they also want to know if you can legally ride hoverboards on the sidewalk or the streets and what are the Canada hoverboard laws governing use. While this is in no way comprehensive, here are some general guidelines for using hoverboards across Canada. Hoverboards are not illegal in Canada. Where you are allowed to ride them is, however, a different story. Hoverboards aren’t illegal, and that’s why we can import and sell them with no problems. What might be a problem is each province’s regulations on where you are legally allowed to ride a hoverboard. Hoverboards are considered motorized scooters. That’s because they aren’t powered by the user but by the battery pack inside the board. Because of this, in some provinces, they are governed by motor vehicle regulations. Each Canadian province has its own rules for motor vehicles and therefore the use of scooters and hoverboards. So, we’ve looked at the general rules and guidelines to help you understand where you may or may not be permitted to use hoverboards in Canada. Now, where it gets tricky with riding a hoverboard on the street or sidewalk is when it comes on to individual cities within the provinces. So, while a province may allow you to use hoverboards on the street or roads, this can be limited by the bylaws of individual cities. 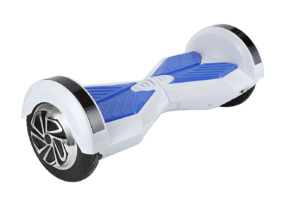 In most provinces, it is illegal to ride a hoverboard on sidewalks, along roadways, and highways. Some states classify Hoverboards as ‘vehicles’ or miniature vehicles’. But, they cannot be insured or registered because they do not meet applicable standards to be insured, licensed, or registered. When in doubt, check your local authorities. Practice hoverboard safety by wearing helmets and knee pads, etc. And when you want high-quality hoverboards in Canada, head HERE. Now, let’s get into details on where you can ride your hoverboards in Canada. Is it legal to ride a hoverboard in Alberta on the street or sidewalk? In Alberta, they have banned hoverboards from roads and sidewalks. The government put this in place via the Alberta Traffic Safety Act. Under the Act, a self-balancing scooter is classified under two sections – a “vehicle” and a “miniature vehicle”. According to the Traffic Safety Act, a motor vehicle means “a vehicle propelled by any power other than muscular power”. Because they are considered ‘vehicles’, technically, they would need to be licensed and insured to be allowed on the streets. But, despite them falling in this category, they cannot be insured or registered because of safety concerns. Alberta law also classifies a hoverboard as a “miniature vehicle”. Because of this, they fall under the restrictions that prevent miniature vehicles from being driven on highways, alongside roadways, and on public sidewalks. This rule also applies to electric scooters, motorized skateboards and even the well-known Segway. This would be as a result of potential liability issues if they were in an accident since there is no recourse. As we have discussed city bylaws, Calgary is a city with its own rules for hoverboarding in public. In 2016, the city of Calgary made it illegal to ride hoverboards on sidewalks, roadways and in parks. Therefore, you can only use your self-balancing board on private property in Calgary. Canada's Best Eight Inch Lamborghini Hoverboard with Bluetooth speakers. We sell them at the cheapest prices in Canada and back it up with our 30 day best price guaranty. Can you legally ride a hoverboard in British Columbia BC on the street or sidewalk? In British Columbia, they classify a hoverboard (or self-balancing board) as a “low-powered vehicle”. As a result, they are governed by BC’s Motor Vehicle Act. But, unfortunately, they don’t meet “provincial equipment safety standards for on-road use” according to ICBC. Now, as a “vehicle”, you will be required to have it licensed and insured to be able to use it on the roads of British Columbia without negative consequences. However, the nature of a hoverboard prevents such registration and insurance because it cannot meet certain prerequisites. Then, there is the fact that BC’s Motor Vehicle Act states that motorized skateboards and self-balancing boards can only be used where the Act doesn’t apply – pathways, trails, and private property. So, in British Columbia, it is not currently legal to operate a hoverboard on the street or on a public sidewalk adjacent to a roadway. You are limited to private property and off-road uses. So, you are free to use your hoverboards at home and away from the streets and sideways adjacent to the road. Are hoverboards illegal in Vancouver? Vancouver is promoting environmentally-friendly modes of transportation throughout the city. So, naturally, one would think a hoverboard should fall into that category since it has no dangerous carbon emissions such as those from motor vehicles. But, that’s not necessarily the case. In June 2017, a Vancouver man riding an electric skateboard to work was fined $600 for failing to have insurance under the motor vehicle act. And this is ironic since hoverboards cannot get insurance from any company. So, while hoverboards are not illegal in Vancouver, the city does not allow uninsured “motor vehicles” on the road or sidewalks. Just to be on the safe side, stick to private spaces for enjoying your hoverboard. Is it legal to ride a hoverboard in Manitoba on the street or sidewalk? In the Manitoba Highway Traffic Act, the only mention of “hovercraft” cannot be applied to hoverboards. 197(1) In this section “air cushion vehicle” means a vehicle other than a motor vehicle, that is designed to derive support and thrust in the atmosphere primarily from reactions against the earth’s surface of air expelled from the vehicle, and that is commonly referred to as a “hovercraft”. 197(2) No person shall operate an air cushion vehicle over, upon or across a highway except as may be provided in the regulations. Again, the easiest definition under which a hoverboard can fall is to do with a ‘vehicle’. And they cannot be permitted on the road for safety reasons associated with being classified as such. So, while you may be able to use a hoverboard on the sidewalk in Manitoba, the safest thing is to use it on private property. 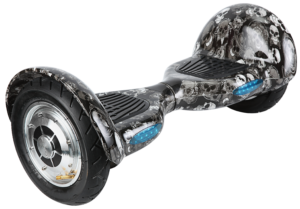 Can we legally ride a hoverboard in New Brunswick on the sidewalks or streets? The Motor Vehicle Act in New Brunswick is similar to other provinces regarding its definition of motor vehicle. 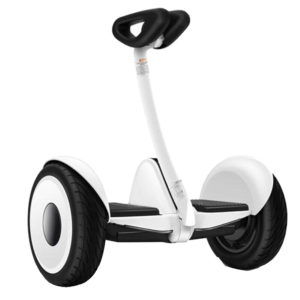 It is also similar in terms of the absence of a concrete section on self-balancing scooters or similar types of devices. Our Off Road Hoverboards are the Best Hoverboards for Camping and Gravel roads. When riding our off road hoverboard you can forge your own trail instead of following those that have went before you. 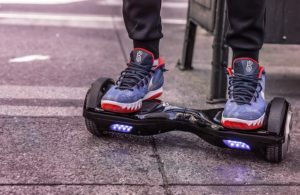 Therefore, it could be safe to assume that similar rules apply about using hoverboards on sidewalks and roadways. Again, the safest bet is at home, on your patio, in your yard or other private property with permission. And, since we know that city bylaws can be different throughout the province, we also recommend that you get details from your local municipality. Is it legal to ride a hoverboard in Newfoundland and Labrador and Prince Edward Island on the street or sidewalk? Hoverboard laws in Canada seem to be closely linked across the provinces. Most define them as a motor vehicle. As such, hoverboards are any vehicle propelled, drawn or driven by any means other than muscular power. Therefore, we can expect that this is the regulation they use to govern hoverboards. Again, it is best that you contact your local authorities to confirm where you can use your hoverboards. This way you won’t be in contradiction to any explicit or implied regulations and rules. 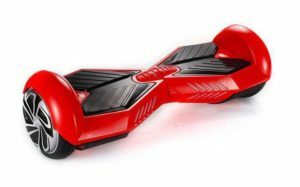 But, it should be safe to use in your home or other private property provided that you bought a quality hoverboard. What is the legality of riding a hoverboard in Nova Scotia on the street or sidewalk? As provinces attempt to balance safety, transportation, and fun, it has to make rules that we may not like. In Nova Scotia, for example, they amended the NS Motor Vehicle Act to legalize Segways on roads, sidewalks, and bike lanes. But, the Act failed to consider other motorized devices such as hoverboards. Unfortunately, hoverboards are not considered as part of “other personal transporters” allowed on roads and sideways because they do not meet necessary safety rules. And so, persons are left with a grey area about where they can ride their hoverboards in Nova Scotia. Where there is a gray area, it is probably best to follow practices from neighbouring provinces. Private property is always a safe option once you have received approval to be there. Is it legal to ride a hoverboard in Ontario on the street or sidewalk? If you’re asking are hoverboards banned in Ontario, then this is what we found. In Ontario, the Ministry of Transport has declared that self-balancing boards do not meet the required safety standards to be used on the road. As such, it is considered illegal to ride a hoverboard on a public road. Like other provinces, these devices cannot be insured or licensed which is a requirement for a “vehicle”. And because they can’t be, they aren’t allowed on public roads. But, like the provision in other provinces, you can use your hoverboard on private property. What about the bylaws of Toronto? 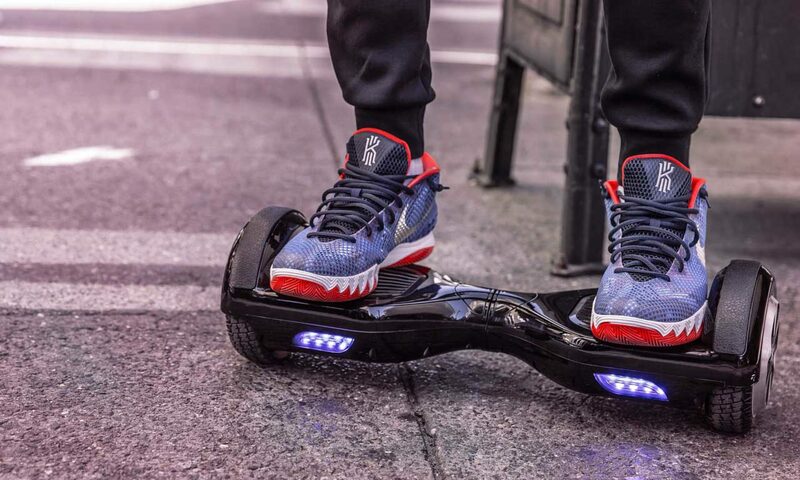 Riding a hoverboard on Toronto streets, sidewalks, and bicycle paths are illegal. As such, you can only legally hoverboard on your private property. But, the law isn’t strictly enforced, and so persons are seen using their hoverboards on sidewalks, parks, etc. But, you can be fined or get in trouble at any time even though the police may occasionally turn a blind eye. The ultimate commuter hoverboard. Easier steering using the knee pads, simply lean the direction you want to go. Life is an adventure with the new Super-Xiamo style hoverboard. Step on our it and be in awe of the cutting-edge technology that propels it. Is it legal to ride a hoverboard in Québec on the street or sidewalk? Now, is Quebec the same when it comes on to where you can ride a hoverboard? In Montreal and throughout Québec, hoverboards are not allowed on the streets. However, you are free to use them on the sidewalks provided that you aren’t hampering the passage of other pedestrians. So, as you can see, not all provinces ban the use of hoverboards on sidewalks. You just have to check the laws in your province or city to make sure that you aren’t using your hoverboard in contravention to the regulations. Is it legal to ride a hoverboard in Saskatchewan on the sidewalk or street? As such, they may also be subjected to the various restrictions for vehicles on sidewalks, roads, and highways, etc. In Saskatchewan, the use of hoverboards seems to fall under the jurisdiction of each city. So, you may need to verify with your local authorities where you are allowed to ride your hoverboard. If in doubt, please check your local municipality for their regulations. Based on Canada Hoverboard Laws, where can you ride your hoverboard in Canada? A lot of the provincial traffic acts have not been updated to meet today’s reality. Most of these interpretations are based on Acts written before the proliferation of motorized, self-propelled devices such as scooters, Segway, and hoverboards. In fact, Manitoba’s traffic Acts describes a “hovercraft,” but that definition could not be applied to a hoverboard. In most if not all the provinces, it is illegal to ride your hoverboard on the roadways, sidewalks, or highways. As a result, you could face fines or get in problems with the police if you disobey these regulations. Not all provinces have implemented a fee if riders are caught, but there are stories of riders being ticketed. So, while we may not like the laws, we still have to adhere to them when it comes to hoverboards, sidewalks, and streets. Based on the laws throughout the provinces, the safest place to ride your hoverboard is on private property where you have the permission of the owner to do so. So, if you want to use yours to go off-roading, make sure to get a good quality off-road hoverboards that can hold-up to the rigours of the outdoors. Across the world, most cities have banned hoverboards in public spaces. Plus, with the many instances of hoverboards exploding, persons are also prevented from taking these boards on public transportation such as airplanes and trains. As hoverboards and other low-powered vehicles get more and more popular, we may see the laws change to meet the times. But as it stands now, you may just need to know where you are allowed to use a hoverboard to prevent running afoul of the law. As is often said, ignorance of the law is no excuse, and this will not stop you from being ticketed for breaking the laws. If you want to make sure about what is allowed or not, then check your province regulations AND your local city regulations/bylaws. Still not sure if you can legally ride a hoverboard on the sidewalk or street where you live? If you’re still concerned and want a hoverboard-type machine, then consider getting a folding electric scooter. Folding scooters or kick scooters may be a better option because they would be considered legal as long as you are powering them. But, if you want a hoverboard and plan to use it on private property, well here are some guidelines on what to look out for when buying a hoverboard online in Canada. And when you’re ready, just hop on over to Hoverboards Online to get your own hoverboard. I am a small business owner for over 25 years and believe that the best customer service possible is the key to a successful business.